With people of color winning in at least 10 different categories, #OscarsSoWhite took a well-deserved vacation this year. Shaking off widespread condemnation of a pair of key decisions that were later reversed (introducing a “Best Popular Film” category, as well as not airing the presentation of certain awards during the live telecast), the Academy certainly could not bear any additional criticism. Especially not another #OscarsSoWhite backlash about the lack of diversity among this year’s nominees and winners. Luckily, compared to the previous 90 Academy Awards ceremonies, it made progress on both fronts: This year’s list of Oscar nominees represented one of the most diverse in Academy history; and with people of color winning in at least 10 categories, including the majors, the 2019 event sent the #OscarsSoWhite hashtag on a well-deserved vacation, however shortlived. 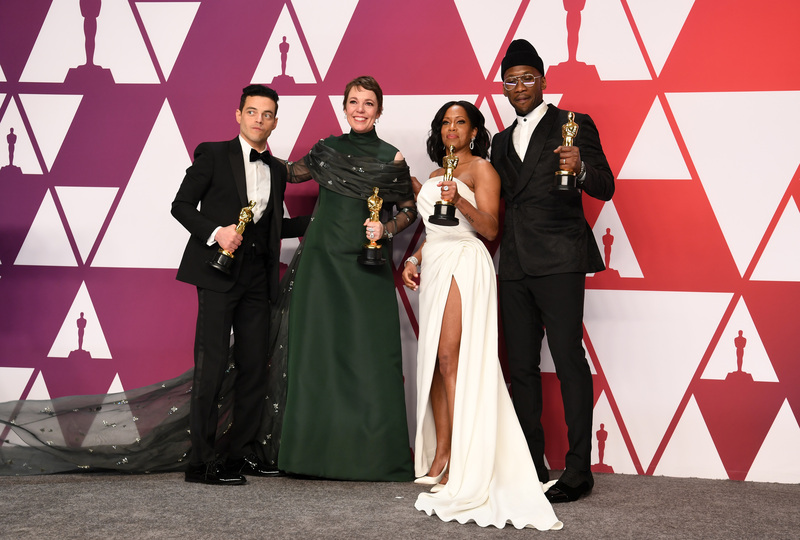 A diversity highlight of the evening was for three of the four acting categories to go to actors of color, a very rare occurrence: Rami Malek (Best Actor, “Bohemian Rhapsody”), Regina King (Best Supporting Actress, “If Beale Street Could Talk”), and Mahershala Ali (Best Supporting Actor, “Green Book”). Also noteworthy was the record number of black winners. With wins by King and Ali, as well as Ruth Carter, Hannah Beachler, Peter Ramsey, Spike Lee, and Kevin Willmott, this year’s Academy Awards was a historic one for black talent. No other year in the history of the Oscars has netted as many as six black winners. The closest came at the 2017 ceremony, when four black contenders went on to win trophies for films released the previous year. Additionally, history was made by Carter (first black person to win the Oscar for Costume Design for “Black Panther”); Beachler (first black designer to receive not only a Best Production Design nomination but also a win, for “Black Panther”); and Ramsey (first black director to be nominated in, and win the Animated Feature category for “Spider-Man: Into the Spider-Verse” which he co-directed with Bob Persichetti and Rodney Rothman). However, while certainly a sign of progress, Oscar “firsts” this year are also an indication of just how slow said progress has been over the last 91 years. And there are surely still many “firsts” to come in every category. With multiple wins, Alfonso Cuarón became the most Academy-decorated Mexican filmmaker, with a total of five competitive Oscars, including three this year alone for “Roma”: Best Director, Best Cinematography and Best Foreign Language Film. And Spike Lee won his first competitive Oscar, taking home Best Adapted Screenplay for “BlacKkKlansman,” which he shared with Kevin Willmott. The pair adapted Ron Stallworth’s fantastical story of a black man infiltrating the KKK, with Charlie Wachtel and David Rabinowitz. Where progress especially needs to be made is in the lead actor and actress categories, which continue to be the least diverse. Although 2019 saw three of the four acting categories go to actors of color, historically, even in the best years, there is typically no more than one nominee of color. Too often, plum roles in Oscar-caliber films continue to elude actors and actresses of color; a problem desperately in need of a solution. The same goes for the historical lack of wins by out members of the LGBTQ community, especially in major categories. For example, the last time an openly gay director won the Best Director Oscar was John Schlesinger for “Midnight Cowboy” in 1969. 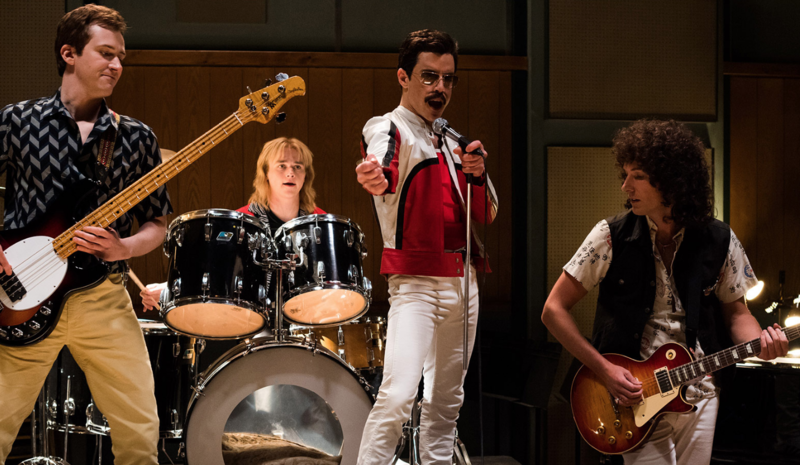 This year saw just two winners: John Ottman (Best Editing for “Bohemian Rhapsody”) and Lady Gaga (Best Original Song for “A Star Is Born,” making her the first openly bisexual winner in the category). It’s been made abundantly clear that representation matters. Although, in the Academy’s defense, it’s hard to vote on movies that haven’t been made. This year, however, there are indications that Hollywood studios have started to respond to the demands of April Reign’s inclusivity campaign that launched in 2015. But with lagging representation of Indigenous, Asian, Arab, and Latino Americans in front of and behind the camera, there is plenty of work still to be done before the industry and its output truly reflect the diversity of the audience it serves. Here’s a diversity snapshop in the major categories. The year’s nominations represented the most diverse lineup for this category since 2016, when “Moonlight,” “Fences,” “Hidden Figures,” and “Lion” were all nominees, with “Moonlight” eventually winning. 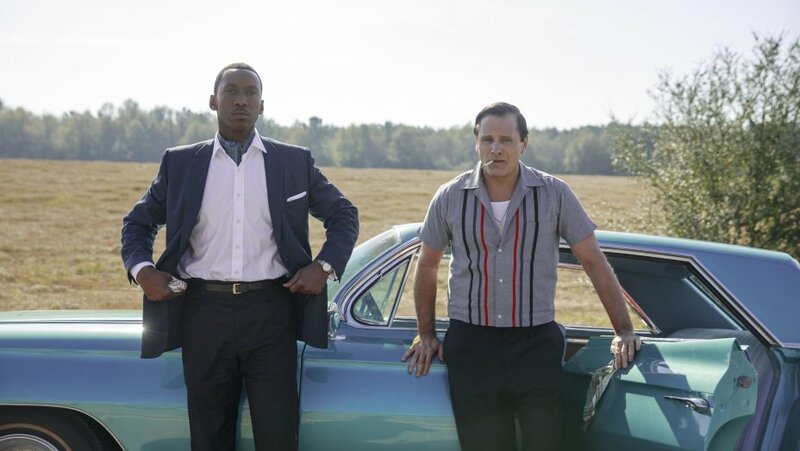 “Green Book” won the 2019 award despite a challenged campaign. The well-meaning fictionalized account of the relationship between an Italian-American bouncer and a world-class black pianist, while on a concert tour through the Deep South, divided critics, and audiences, especially across racial lines. However, support for the interracial-buddy-road-movie clearly overwhelmed any criticism of its merits, much to the chagrin of naysayers. And while it didn’t win, noteworthy here is that “Black Panther” made history as the first superhero film to score a Best Picture Oscar nomination. With his win, Alfonso Cuarón now ties fellow Mexican director Alejandro González Iñárritu, each with two Oscars in this category; both of them the most decorated Mexican filmmakers in Academy Award history, with Cuarón a step ahead in overall wins. Meanwhile, with “BlacKkKlansman,” Spike Lee finally received a much-talked-about directing nomination — the first in his over 30-year career. It was also only the sixth time that a black director has been nominated; no black director has ever won Best Director in the history of the awards ceremony. With his nomination, also his first, Rami Malek (“Bohemian Rhapsody”) became only the second actor of Egyptian descent to be nominated in an acting category. His predecessor was Omar Sharif in 1962, who was nominated for Best Supporting Actor for his role as Sherif Ali in “Lawrence of Arabia.” He lost to Ed Begley for his performance in “Sweet Bird of Youth,” making Malek, competing in a field of primarily straight white men, the first actor of Egyptian descent to win an acting Oscar. While school teacher-turned-actress Aparicio was considered a frontrunner, she was also in one of the year’s most competitive categories, which included veterans Glenn Close (“The Wife”) and the category’s winner Olivia Colman (“The Favourite”), as well as popular Lady Gaga (“A Star is Born”), whose nomination marked one of a few instances that an open member of the LGBTQ community was tapped in this category. The 2019 ceremony saw a repeat of the 2017 Oscars, when both supporting actor categories were won by black actors: Mahershala Ali for “Moonlight,” and Viola Davis for “Fences.” Ali returned to the table with “Green Book” in a performance that won him the category. Clearly, lingering controversy around the film did not hurt its chances in any of the key categories it was nominated, including this one, as well as Best Picture. Ali’s win makes him just the second black actor, in the entire history of the Oscars, to win two trophies for acting. Only one other black actor/actress has at least two Oscar wins: Denzel Washington. A key overlooked performance was Brian Tyree Henry’s beautiful, mournful soliloquy in “If Beale Street Could Talk,” which should have nabbed more attention, and earned him a nomination, but didn’t. 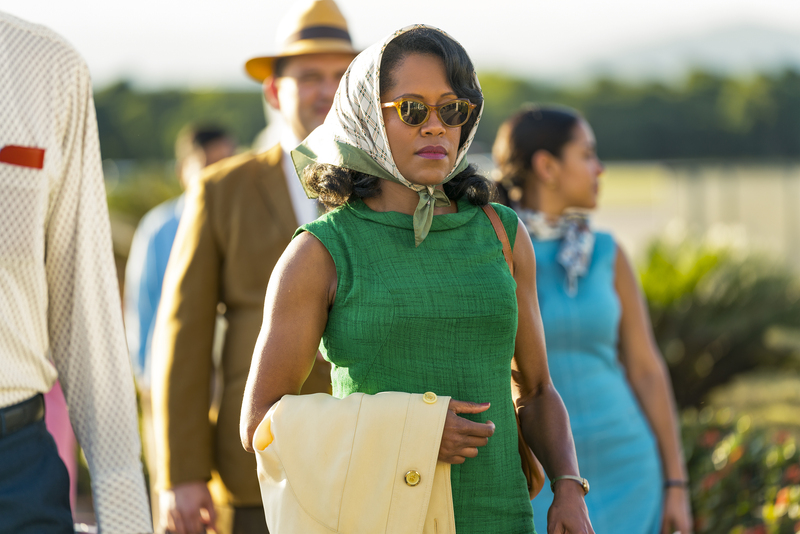 For her heartwarming performance as a determined mother in “If Beale Street Could Talk,” Regina King received a first-ever Oscar nomination in her 30-year career. For a socially relevant film (made by a previous Oscar winner) that struggled to find its footing in other major categories, Emmy-winner King simply could not be ignored by the Academy, and she won as expected, in a category that also included surprise nominee, Mexican actress Marina de Tavira, for “Roma,” who was not on any expert predictions lists. This win should only help further cement King’s reputation as one of the most respected actresses of her generation. With two of the nominated films scripted or co-scripted by black writers, the category, believed to mark “BlacKkKlansman’s” best chance at a major win, proved to be just that. It was the fourth Oscar nomination for Spike Lee, and, unbelievably, his first official win. He won the 1983 Student Academy Award, and an Honorary Oscar in 2015. “BlacKkKlansman” was co-written by Lee repeat collaborator Kevin Willmott, Charlie Wachtel, and David Rabinowitz, who all share the win. In one of the year’s least-diverse major categories, it seemed to be Cuarón’s to lose for “Roma.” It was his second nomination for Best Original Screenplay, after “Y Tu Mamá También” in 2002. In the history of the Oscars, a Mexican writer has won this category once, with Alejandro González Iñárritu in 2014 for “Birdman,” which he co-wrote with Alexander Dinelaris Jr., Nicolás Giacobone, and Armando Bo. But the category belonged to “Green Book” this year, one of its three wins for the night, for director Peter Farrelly, who co-wrote the script with Nick Vallelonga and Brian Currie. A noteworthy omission in this category, and also one of the best-reviewed films of the year, was Boots Riley’s purposeful, bitingly funny, and wholly original cult favorite “Sorry to Bother You.” It had the potential to play spoiler, but didn’t make the final list of five nominees. The film, of course, won the Oscar, earning Ramsey a spot in the history books, as the first black director to win in this category. And finally, this year’s most diverse category, with four of five nominated films directed by people of color, Jimmy Chin and Elizabeth Chai Vasarhelyi took home the award for “Free Solo,” which the couple co-directed. Other contenders included RaMell Ross’ topical “Hale County This Morning, This Evening,” an inspired and intimate five-year portrait of the lives of two young African-American men from rural Hale County, AL; Bing Liu’s “Minding the Gap,” a documentary search for correlations between the filmmaker’s skateboarder friends’ turbulent upbringings, and the complexities of masculinity; and Talal Derki’s “Of Fathers and Sons,” in which the Syrian filmmaker returns to his homeland, where he gains the trust of a radical Islamist family, providing extremely rare insight into what it means to grow up in an Islamic caliphate. Broadcast live on Sunday, February 24, on ABC, the 91st Annual Academy Awards were handed out at the Dolby Theatre at Hollywood & Highland Center in Hollywood.